Released in 1990, Ghost is the love story of New York banker Sam Wheat (Patrick Swayze) and his artist girlfriend Molly Jensen (Demi Moore). Everything changes when Sam is murdered by his friend and corrupt business partner Carl Bruner to cover up a crooked business deal. Caught between two worlds, Sam enlists the help of Oda Mae Brown (Whoopi Goldberg) to protect Molly from Carl and his henchmen. With mind-blowing special effects never seen in an on-stage musical before, the Australian premiere of Ghost The Musical comes to Festival Theatre in January 2016, starring Rob Mills and Jemma Rix (which is sure to delight Wicked fans) as Sam and Molly, along with Alex Rathgeber (Anything Goes) as Carl and British performer Wendy Mae Brown as Oda Mae. We speak with Rob Mills who is in town to perform his cabaret show Surprisingly Good. Rob admits that the auditions were a little scary for him. “I had to play guitar and sing for it. But one of the reasons I signed on was not just because the directors are so passionate about this story, but that I can totally relate to the character of Sam Wheat; a really likeable fun guy who works hard and is quite successful but, for some reason, he always thinks it’s going to come crashing down at any moment. He doesn’t quite believe in himself or that he is lucky. And that’s me! I was doing the audition, trying to be professional, and all I could think was that guy is totally me! Are you curious as to why you surprise people in that way? “Yes,” he replies. “In the show I question whether I am perpetuating that notion myself, whether I verbalise it or do it physically by saying it without saying it that I don’t quite believe in myself. But I also think that now is the time to, without wanting to sound arrogant, own my own talent and remind myself that I have worked hard and deserve to be where I am. Ghost The Musical features music and lyrics by Grammy Award-winners Dave Stewart (Eurythmics) and Glenn Ballard (Michael Jackson’s Man In The Mirror, Alanis Morissette’s Jagged Little Pill) as well as the iconic Unchained Melody (by Hy Zaret and Alex North) famously performed in the film by The Righteous Brothers. A huge fan of Dave Stewart’s, we ask Rob if he is also a fan of the movie. “Yes!” he agrees, “and so easy to watch. Patrick also has great comic timing. There has always been a fine line between comedy and tragedy. The writers of the movie also wrote the script to the musical, so there will still be those comedic moments between Sam and Oda Mae. Sam also has that sense of vulnerability about him as he tries to put the pieces together to figure out why this has happened to him; things we going so well, he had just moved in with Molly and suddenly everything changes. Do you have any pottery skills? Click HERE to watch Rob and Mark’s pottery skills. Have they asked you to play Sam in the same way Patrick did? 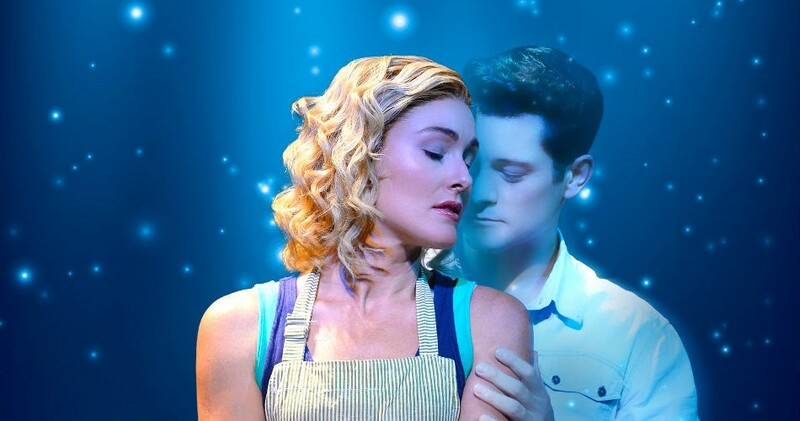 Rob Mills performs Ghost The Musical at Festival Theatre, Adelaide Festival Centre, at various times on Thu 7 Jan until Sun 31 Jan.